A few days ago, our reader Lin asked if there is any concealer that we can recommend. Today I am going to review two products I recently tried, namely the one by Maybelline, and the other by Cle de Peau. To be honest, I nearly threw away Maybelline Dream Mousse Concealer which was in my cosmetic bag for quite a long time not knowing how to best deal with it. When you feel it, the texture is not like whipped cream in the picture, but more like peanut better. It has great coverage but thick and matte. So it is hardly to blend seamlessly into my skin, until, I found this pink sponge(Bob)! 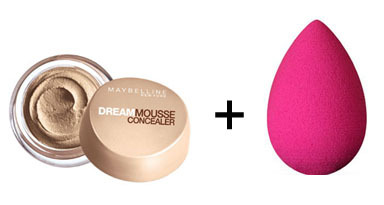 With the help of this magical Beauty Blender product, The results were dramatically improved and finally a breath of relief! 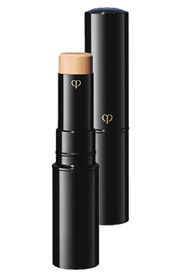 Well, at the same time during my research for a new brand, Alexa recommended this Awards Winning concealer by Cle de Peau, which is owned by Shiseido but more high end. Literally, this is the most I've ever spent on a make up item. Is it worth it? I won't know it until I try it though. What I can tell you right now is, I am pleased with it. It is not overly creamy or drying, instead, a few swipes would do the work easily, and, a small stick can last quite a long time. Which one I would repurchase later? I don't have a certain answer yet. Budget? Brand? Hope you found this review helpful. Thank you for reading and have a great week!